Court sentences student to 3 months in prison for snatching lady’s bag - BlogIT with OLIVIA!!! A Lugbe Grade 1 Area Court in Abuja on Wednesday sentenced a 20-year-old student, John Onoja, to three months in prison for snatching a bag. 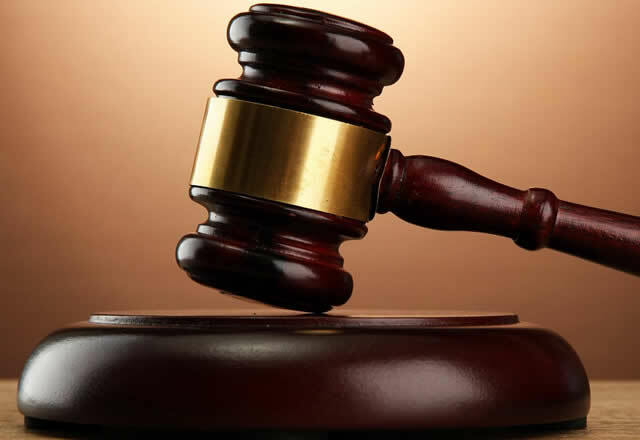 Onoja, who resides at Lugbe Zone 9, Abuja, was convicted after he pleaded guilty to the charge of theft. The Judge, Mr Garba Ogbede, however, gave the convict an option of N5,000 fine and warned him to desist from crime in future. Ogbede also ordered the convict to pay the complainant, Raphael Obi, N32,000 restitution and to return the stolen bag. Onoja was however unable to pay the N5,000 fine and was taken to Kuje Prison. The First Information Report (FIR) stated that the convict snatched the bag belonging to Obi on March 22 at 9.30 p.m. at Lugbe in Abuja The Prosecutor, Ndidi Ukoha, had told the court that the snatched bag, valued at N25,000, contained a cell phone worth N12,000, two pairs of canvass valued at N8,000 and N10,000 cash. She said that the complainant raised an alarm and the convict was apprehended and handed over to the police, an offence which contravened Section 288 of the Penal Code.